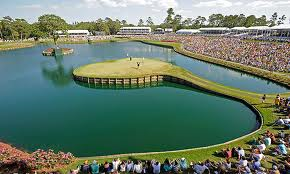 Episode 28 - After a decent week for the podcast with Adrian Otageui winning at 33/1 and Branden Grace placing at 25/1, the European Tour 2018 Rolex Series sees its first event this week - the iconic BMW PGA Championship from Wentworth. Rory McIlroy, Tommy Fleetwood, Alex Noren, Paul Casey and Branden Grace headline, with the likes of Ian Poulter, Francesco Molinari, Matthew Fitzpatrick, Rafa Cabrera-Bello and Tyrrell Hatton all in Surrey, south-west of London this week. With full wall-to-wall Sky TV coverage, the BMW PGA Championship is still one of the strongest events on the European Tour. Over in the United States we also have the Fort Worth Invitational to get our teeth stuck into. Colonial Country Club is a well respected venue and this is an Inivtational-Status tournament with an extended 3-year exemption for the winner. Field strength is strong with Jordan Spieth, Jon Rahm, Justin Rose and Rickie Fowler heading-up the final event of the 2018 Texas Swing. Intro: 00:00; Belgian Knockout + AT&T Byron Nelson Post Chat: 01:40; BMW PGA Championship Start: 07:41; Fort Worth Colonial Start: 33:13.